Last week, Game Of Thrones burst back onto our screens with more action, more drama and another dark Winter on the horizon. For those who haven't seen it yet, there are no spoilers ahead – but it’s definitely looking cold in The North. And although it won't get quite as frosty in our great Kingdom of Sydney, Winter is certainly coming. To help you prepare for the cold, we're going to share with you 4 great ways you can stay warm this Winter. In summer, we barely notice how effective (or ineffective) our hot water heater is. While it’s warm, you’re not as desperate for that steamy shower. If you're lucky enough to have your own set of fire breathing dragons, you’re all set for hot water, but if you don't have the luxury of dragons to heat your water, you'll need to make sure your hot water heater is in tip top shape. General tank condition - you want to be looking for any rust marks on the outside of the heater, leaks, or any other signs that the metal is degrading or corroding. Safety relief valve - check if the safety relief valve is dripping. It is designed to drip when heating the water inside, but it shouldn't be dripping constantly. It is critical to the safety of your system that the safety relief valve is working properly, so if you notice a continuous drip then call a professional immediately. Sacrificial anode: your sacrificial anode attracts corrosive elements in the water, which prevents corrosion of the rest of the inside of your hot water system. However, these degrade over time and must be replaced regularly. Check your hot water heater manual to see how often your anode should be replaced, as doing so can extend the life of your tank. If you start to get brown water from your hot water taps, it is likely that your anode had degraded, or even worse, the inside of your tank is already rusting and may burst - call a plumber immediately! Consult your manual, but on average, a hot water heater needs professional inspection every year or two. 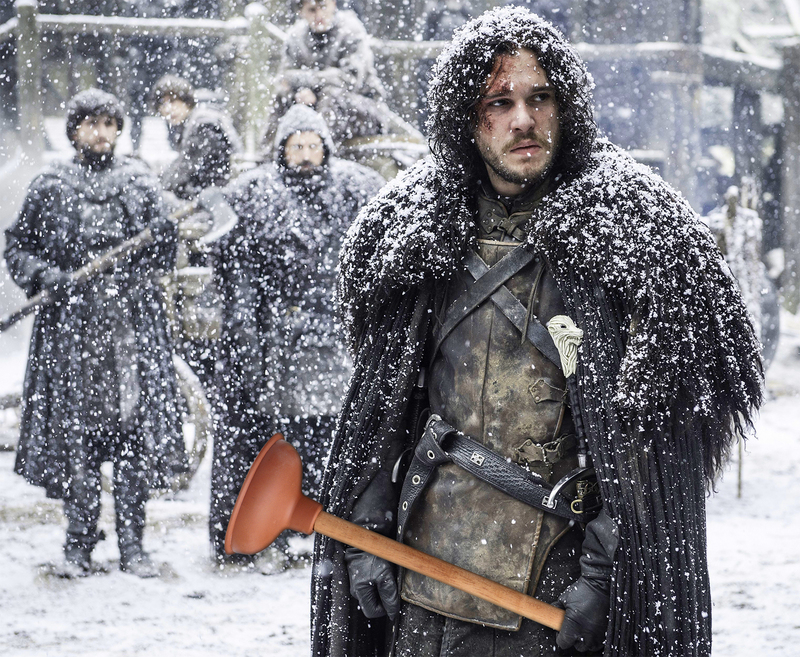 This investigation will ensure you’re not relying on the maester’s tricks to keep your water warm: you’ve got some great hot water, and your home is safe from a dangerous explosion or leak. So check in Autumn to be ready for Winter and prevent a frosty surprise! How we wish we were on the sunny shores of King's Landing! Even with the creepy Lannisters around, Winter comes with especially awful weather – and the need for some serious heating. Depending where in Sydney you live, you’ll be blasted with cold coastal winds, harsh damp, or dry, freezing days. Gas heating is one effective way to bring the summer back into your day. 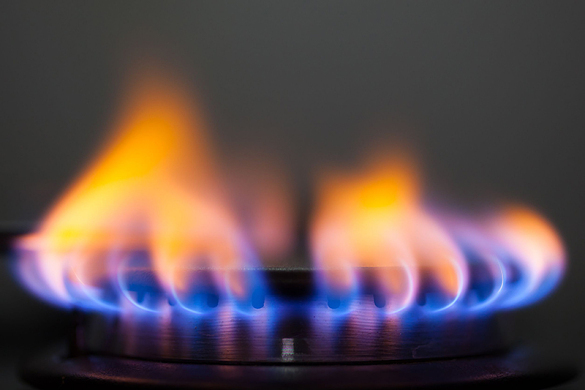 Cost and energy effective, natural gas heating relies on the combustion of gas to produce warmth. It’s a pretty simple mechanism! Gas heating can be ducted, might be in the form of individual heaters, or could be a mock-up fire place – whatever form it takes, it’s safe, inexpensive and very effective. There are some basic risks, though. Like playing with dragons, gas heating needs to be done very carefully, installed securely, and checked regularly by a licensed professional (not your local warlock). This can be the difference between safe and efficient heating, and inefficient or unsafe gas issues. Check your gas systems before the colest months arrive, and you’ll be in a much better position to keep your house nice and toasty. 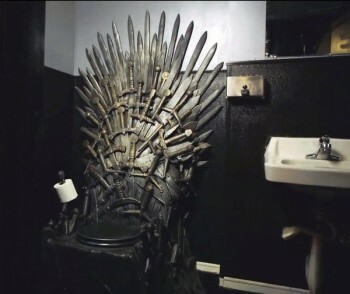 While an airy castle might evoke powerful images of the Iron Throne, it’s far from the most cost (or energy-efficient) way to stay warm. In fact, it’s quite the opposite! Masonry retains cold and is very poor material for keeping in warmth. Ever stepped on a stone barefoot in the middle of August? You’ll know what we mean. Thankfully, here in Sydney we’re blessed with much more effective, heat retaining materials. Insulation in the roof and walls of your house is the most efficient, cost-effective way to keep your house warm. It literally traps in the heat produced by other sources (anything from fireplaces – very majestic – through to gas heating systems). Good insulation can be the difference between leaking heat and money, and retaining it. While wrapping yourself in layers of fur might work in Westeros, it’s not going to wash as well here. It’s hardly cost effective, and it’s not going to keep your home itself warm and toasty. Don’t rely on heating systems to make up for poor insulation! Make sure you check (and if necessary replace) the insulation in your home, and you could save serious money on your energy bill. Now, we’re well aware this usually ends pretty badly in Game of Thrones. There are some notoriously painful feasts. No spoilers, but food doesn’t necessarily mean a good time in Westeros. Here in Australia, luckily, our Winter means some great opportunities for cooking up a storm! Winter warmers such as soups, roasts, and casseroles can be great on those long, cold nights. Even the battle hardened men of the Night's Watch don’t say no to a nice cooked meal, and neither should you! Welcome the joy of sharing good food and company, and don’t worry – we’re sure the guests at your feast won’t put an arrow in your back. Here at Plumber & Electrician To The Rescue, the words of our House are “we’re always ready to rescue you”. Sure, perhaps it doesn’t have the same ring to it as “Winter is Coming” or “A Lannister always pays his debts”, but it’s true. We are the Night's Watch to your Castle Black and the Kings of keeping your house warm and comfortable throughout the dark days of Winter. So don’t be a stranger! If you need help with your hot water, your heating, or a White Walker problem, we’re here, and we’ve got what it takes to rescue you! Call 1800 620 227 today!